2 Classroom Extension Project including refurbishment of cloakroom area to provide WC facilities for the extension block. 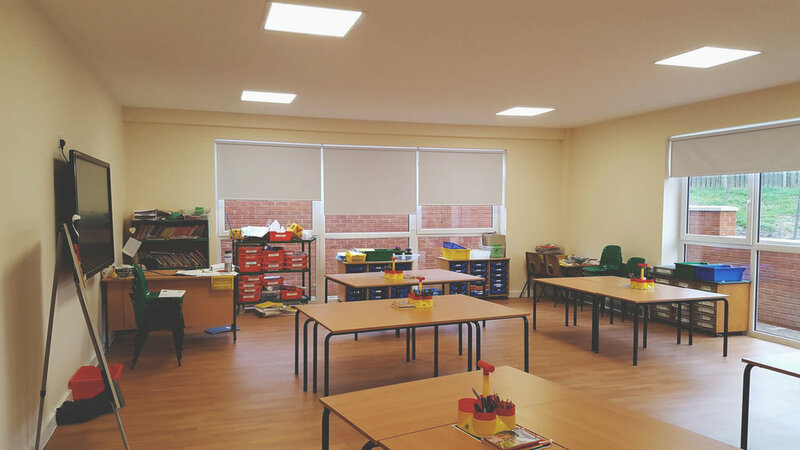 Overview: Create an extension to provide two classrooms to replace the existing temporary accommodation, including refurbish an existing internal space to form the associated cloakroom facilities for 60 pupils. The Department for Education only allots 15% of its annual Condition Improvement Funds for school expansion/extension projects and as such they are proportionately difficult to secure funds for. The Firs are one of many schools who are under pressure to provide school places for children. Bedfordshire is currently undergoing unprecedented levels of new housing and as a result its schools are trying to keep up with this demand. Cube conducted an area analysis of the rise in local population and cross reference that data with the current capacity of the school to meet future demands. In addition the school’s existing classrooms have reached the end of their life span and can no longer be considered fit for purpose. Cube prepared and won a bid for a new two room classroom with additional cloakroom facilities. obtaining a grant from the CIF fund to part-finance the works, the school having already obtained a large proportion of the necessary funding for the works from other sources, including considerable internal fund-raising efforts. Cube tendered and oversaw the works on site which have completed in February 2017. "I have found Cube have always provided us with sound professional advice and an unbiased opinion on how best to resolve problems. Their unique approach to tackling maintenance issues and planning for long term capital projects has helped us to focus on what is necessary and achievable within a very tight budget.